You're currently viewing posts by Pinsider phantomo. 259 posts in this topic match your search for posts by phantomo. You are on page 1 of 2. 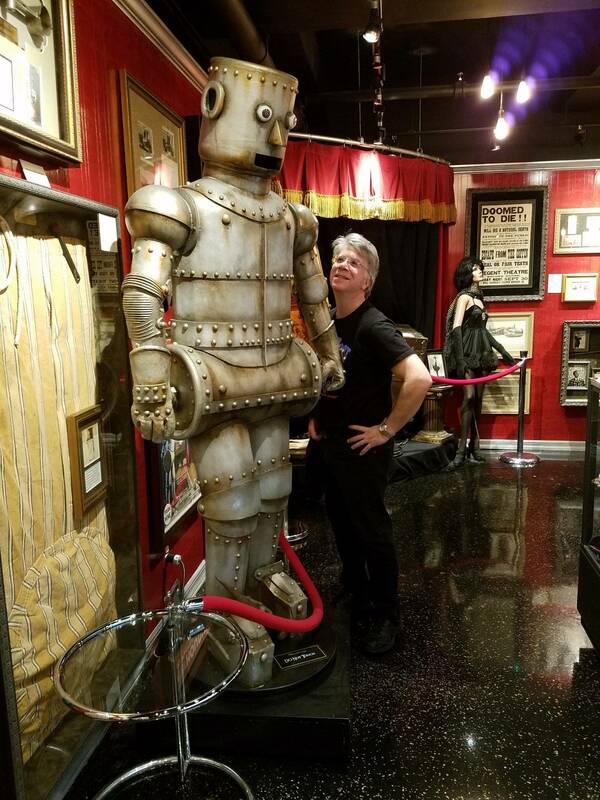 Got a chance to meet Joe and play Houdini at Pintastic New England and all I can say is wow!! 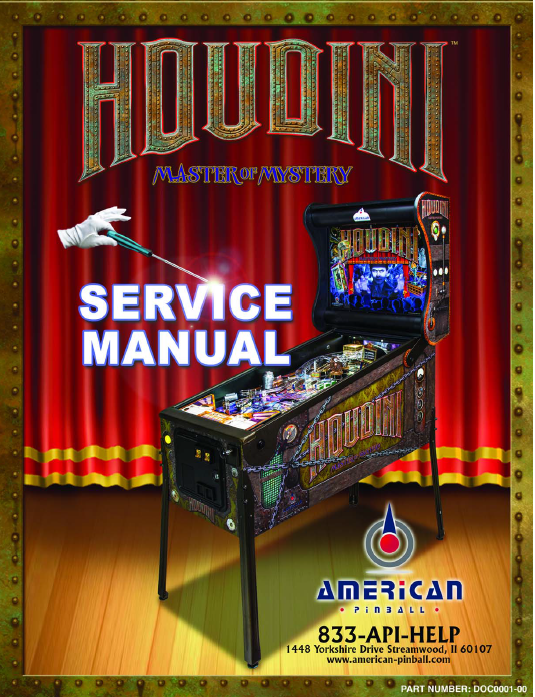 What a great first machine for American Pinball. I could not believe the build quality of this game, Joe and the team did a fantastic job. The art is both beautiful and mystical in a pleasing way, when you stare at the backglass it almost appears to be 3D. 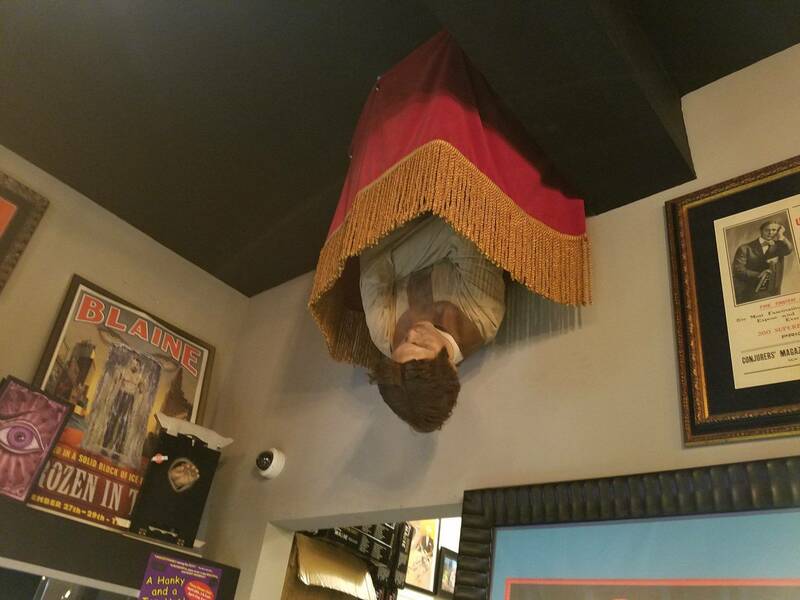 Houdini’s eyes follow you no matter where you move. I had no issues making the shots so I was confused about some of the earlier feedback. Regardless, this game is truly a unique piece of playable artwork. 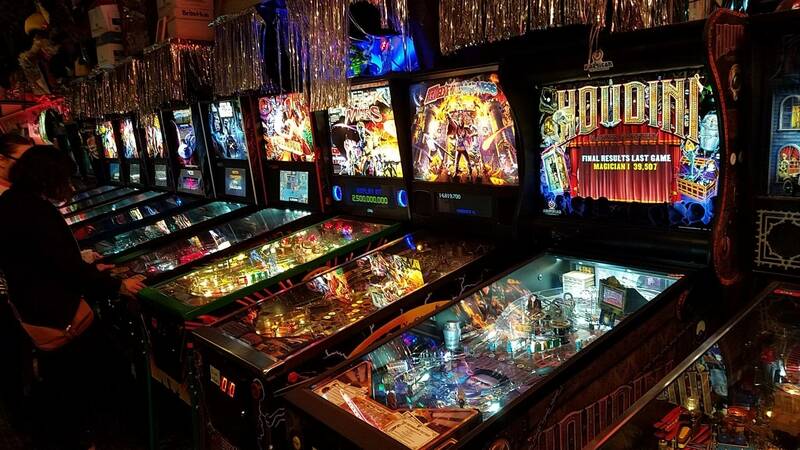 Well done American Pinball! I played these at Pintastic too and ended up buying the last one from counter. it wasn't one that Joe dialed in, though. I will need to tweak it myself. That chain is usually staffed by college kids. 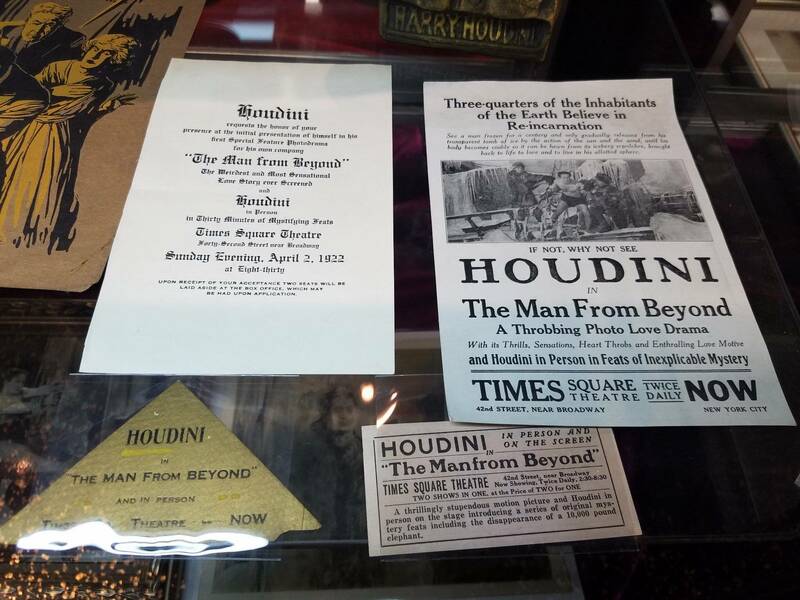 There is a decent Houdini museum and shop in Times Square next time you are in nyc. Would someone please ID what this and what it is for? It was in the Houdini goody bag. Thanks! My trunk catapult shoots both far left and far right erratically. not sure how to adjust that. Coil strength is 27. Score was from 5 ball game set up easy peasy. I'd also make sure that it is dropping all the way down, though I suspect the switch wouldn't register the ball being there if it didn't, just thinking maybe the ball doesn't always end up centered in the catapult arm. Yes, that may be it, because i bent the switch arm up high because the ball wasnt always pushing it down far enough to activate the switch. I readjusted it lower and now arm seems to be firing centered most of the time. The arm linkage has a bit of wiggle, but all seems to be connected properly. I have games where I brick almost every shot, and then I’ll play one more game, and suddenly it’s Grand Champion territory! Finally got around to removing the washer on the plunger arm (the one inside the cab) and holy crap what a difference, totally smooth now. Same here so far. Plunger seems smooth, but i can rarely hit the top skill shot target. I will try it without washer. BTW, anyone see the captive stage ball during play? I havent yet. That works, but you have to find a happy medium. loosening the screws allows the yellow lever to be swung over to the far right, but it also seems to make the bar less secure/tight. Got to add beer foam to make it snug. I just took apaprt my catapult and gave this a shot. It didn't make any difference and still shoots to the far left when the coil strength is turned up enough to make it the distance of the trunk. If I turn it down (and it short shoots the ball), it's straight as an arrow. With the coil at 27, mine makes the trunk most of the time. But it can go on a streak of wide left shots, like 4 or 5 in a row. Then I test it and it works fine. I am trying it at 26 now. 25 is too weak to make it. So disassembled the whole Theater and the captiball servo. Was a 30min job. For the first time not bad. Then I open the servo and found the problem why it's dead. Two solder joints burned and it smelled strogly scorched. I think during transport the small pcb in the servo is slipped or it was not not properly soldered by the third party. Did the behavior of the captive ball change after your fix? When does it show up for you? Mine raises during the milkcan escape, but i dont see it much overall. Not sure what it is supposed to do in the game. How do the owners who have had Houdini for a while like it? I see reviews all over the place. I have one coming but am curious. I've played it for a week at home. I love the features such as return from the dead, where you save a drained ball. I like the orbit, ramp, catapult shots, stage mech and the toys and art very much. The "limited animation" video is not sophisticated, but it fits the era of the theme (early 1920s). The main concern before I bought it was that it would be too hard to be fun. I am a moderately poor player who doesn't use dead flips and flipper passes and slap saves, etc. So I set the game up with 5 balls and easy goals and I am having 15-20 minute games, scoring 500,000 to 2 million, and getting at least 2 Houdini letters and extra balls per game, a couple of games I got 5 letters. So it is well within my limited skill range and a lot of fun. Also, my aim and ball control moves are improving. So I will probably set the game to be harder in a month or two (shorter ball saves, harder extra balls, etc.). I know the patched code is available and I'm loading it in now but when I was testing to see if a two player game always reset I actually ended up with my highest score ever (~1.76M) on player two and thought great, now it's going to reset and I can't even put in on there. Nope, it let me enter my name and never reset. 18.8.5 is now available on the code update page. Should we do the updates in order or can we skip 8.1 and go right to 8.5? Thanks Josh, I'll run through the calibration again but I don't remember it ever raising the captive ball that high when I did it twice after the last firmware upgrade. I just ran the stage test, as Josh described above, adding a ball at the "ready" stage. On :hold" the ball sinks below the playfield and sits there atop the captive ball. On eject, the captive ball raises up and lets the live ball roll out of the stage as in Josh's video. This is after I updated the code. I believe the eject feature comes up in the milkcan escape mode. Not sure where else we would see the captive ball. I hope you can get yours working soon. Josh, thanks for explaining the newton/captive ball history. I appreciate your trying to develop a now-you-see-it, now-you-don't illusion with the pinball, which is a great idea. Sorry it didn't turn out like you wanted. I ran the stage test, adding the live ball in the READY stage, and got a perfect ejection. It wasn't clear in the menu/manual when or whether to add a live ball to the test, so I wasn't doing it right earlier. The ball ejects during the milkcan escape stage mode. I re-calibrated my stage again and it still doesn't come close to ejecting it. Game is level side to side and about 6.5 degree incline. I took a video and tried to upload to YouTube but it keeps rejecting it for some reason so maybe this link to it in my Google Photos will work. Not a big deal but may see if there is some other adjustment I can make to get it working. I added the ball when the test was at the "ready" position, which comes before the Hold position. Don't know that this would make a diff, though. In regards to the ever annoying catapult deflection, I made some changes that may be worth having a look at depending on what you have going on. Yes the last suggestion by Barry is part of this. Mine has always had an issue deflecting left because of what Ive thought was the low power issue. I still think that is the case for some of it but basically whatever was causing this parasitic loss to the catapults action had many possible causes. Ive tried many things and the problem always returned after a few games. First I pulled the whole assembly back and rotated slightly to get away from the ramp. Then I dropped the ramp an 1/8 of an inch. I lubed the pivot points. All of these changes reduced the issue but my goal is to eliminate it. I found one last thing and only because the catapult has a few hundred pulls now. 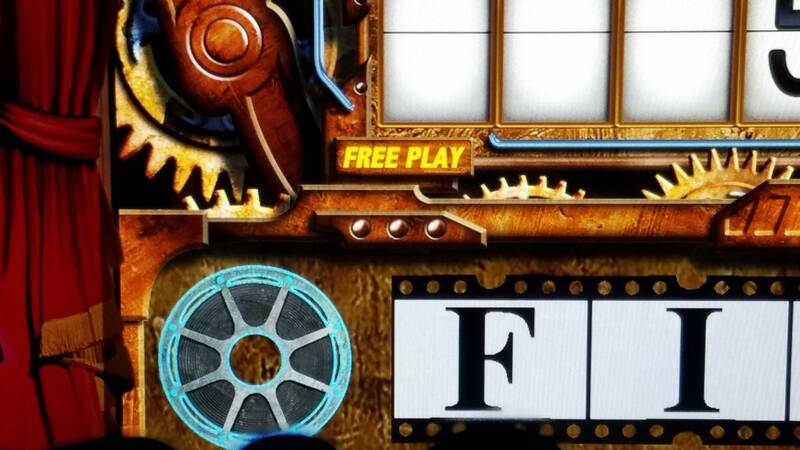 I found witness marks on the edge of the playfield and catapult. I found it has been intermittently touching just enough to take a little power away from the throw. ive now shaved the side of the catapult and so far so good after about 20 tosses. hopefully ill get away with having it work during peak power usage times. Good suggestions. I find mine sometimes deflects off ramp at 26 coil strength, but at 27, it throws the ball to the right of the trunk. I took apart the linkages, and tried to add a washer to shift the cat arm left, but it added too much friction to the arm. I don't see a way to shift the steel bracket over because the attaching screws don't seem to have any play. How did you rotate the assembly? I think a shift to the left would solve my problem. Fyi, the stage ball eject feature also occurs at end of King of Cards mode. 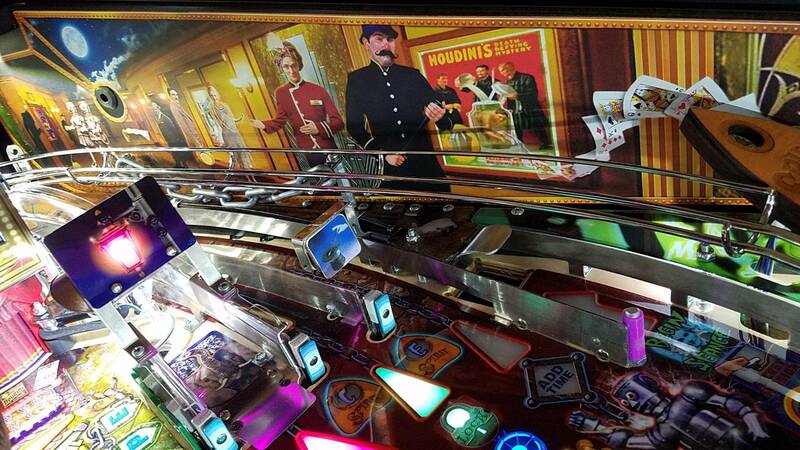 I played Houdini at Pintastic and thought it was great. I actually got to play it with Joe Balcer which was really cool. While looking for one I was reading the reviews that are all over the place, negative and positive. After finding one and having it on the way somebody startd a topic about Houdini being too difficult. So of course I started to wonder if I made the right decision. I got my game today and hell yeah I made the right decision! I love to have diversity in my collection and this game is awesome. I am a mediocre player at best and this game is not that hard. 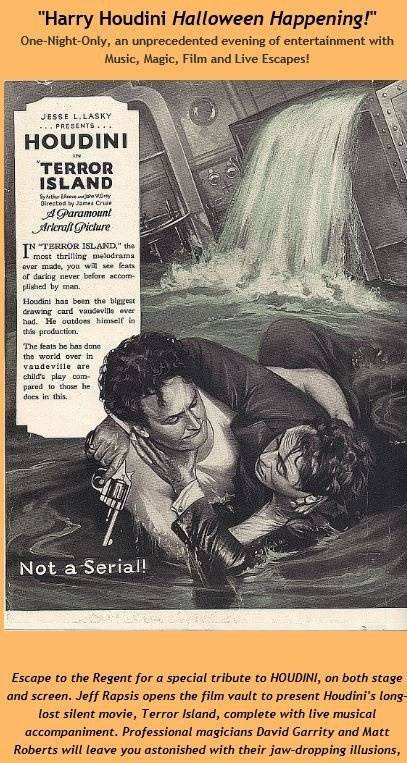 I will have to chime in on the Houdini being too difficult threat now. This game rocks! keep having to tweak the trunk catapult. On the trunk catapult, I'm wondering if there is a way to adjust the throw left or right other than coil settings. Can the arm or whole mechanism be shifted slightly? Being plastic, you cant permanently bend the catapult arm. 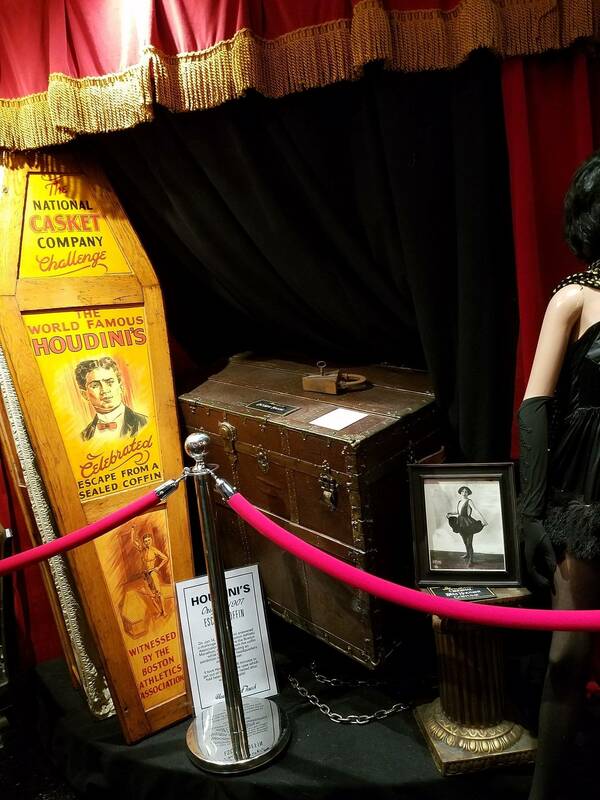 Last night I dreamed about playing Houdini and the trunk would automatically move left or right to catch the ball everytime. Can the spoon part that fits under ball be rotated slightly on the arm and be held with a set screw? Wouldn't take much movement but it would enhance the chance to make the shot. rosh Are you guys exploring notching the baseplate and offering those to customers? I'd like to see a pic of what others have tried that worked. I tried a washer to shift the spoon arm, but it created too much pivot friction. Trunk catapult shot varies greatly. The amount of tolerance is too great and I don't think power supply stabilization will fix it fully. Sometimes the ball banks off back wall inside trunk. This is sweet spot and might work 5 x in row. Then it starts hitting back panel of game 3 inches to left for maybe x 10 times. Then it switches an inch to right but falling short of front trunk wall and hits the corner. So throwing arm needs less movement and spoon should rotate slightly to be adjustable. Another option is mount a magnet behind trunk and tie into mode. I see the same behavior. 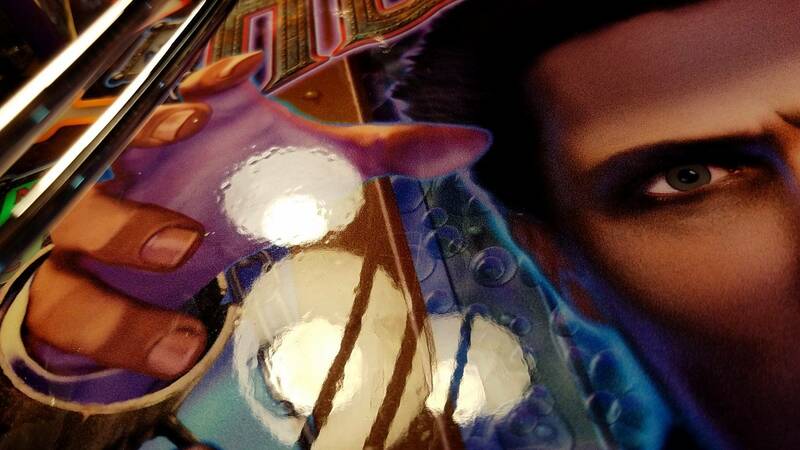 The trunk shot seems more likely to miss later in a game, and during chaotic periods such as multiball. Maybe its power gets sapped by all the coils firing its power or gets fatigued somehow. During tests, it is almost always accurate. Got it. Thanks for clarifying, Josh. Glad to know my lock is working fine. OK, Josh, rosh I collected all the Houdini letters, and then got a scrolling screen of instructions describing phase 1 and phase 2 of what I assume is the master or mini magician mode. The first part was a multiball with a special twist. After I was down to a single ball, I needed to make a flashing shot. But time ran out before I could make it, and the flippers died and the ball drained - the narrator said something like "Maybe Next Time." Then I got a blue screen and some tiny computer text I couldn't read, and the game rebooted. It did not save my score (about 2.8 million) or any reference to that last game. So I'm thinking this might be a bug associated with master magician mode. (This may have only been a mini-magician mode, because I did not complete the secret missions). Should I send in a log? Anyone else get to a wizard mode yet? Mine didn't end well. We really love the game so far, but have had a couple of issues. Tilt not working, not thrilled about that but hopefully I can fix. I've lowered some requirements for Houdini letters, had some good luck and entered wizard mode. Got the magician's final exam text for a second and then the game rebooted. That was a bummer. Ooh, I know the feeling. I played the two phases of that mode, drained quickly, and then the game rebooted. Didn't save my score. Hopefully this is fixed in next update, tho it may be a year before I get to the mode again, even with a 5 ball game and a few extra balls. Yes, and I've also noticed that for many modes (Elephant, Haldane, etc.) when you need to hit a ramp it you hit it slowly and it takes a while to get all the way down the ramp, sometimes with a nice nudge to keep it from dropping through the hole, it won't award the shot at all. This doesn't only happen during MB or when the ramp is lit for a combo secret mission shot. You are correct about that misleading ramp light. I find the ramp one of the toughest shots to make consistently in terms of completing it. I even raised the left flipper coil strength to improve completions, but it hasn't helped much. shot made from a cradle position? Will keep trying to zero-in the backhand shots. Based on what I've experienced, master magician mode starts after 7 Houdini letters are earned, no matter how you earn them. I set mine up to award letters liberally, for now. Bend one of the coils out on the longest of the two pieces and make a new, shorter, tighter spring until you can get a full new one. Smart idea. I was gonna rob one from Lord of the Rings. 7 CHAIN LINKS EARNED! I boosted the flipper coil strengths to 23 each (was at 21, 20). Suddenly I could make the full ramp and orbits and stage target shots more consistently, and wound up blowing away my old best link score of 2. Pitch remains 6 degrees. So nice to have such flexibility on all the coils...Though am getting more airballs now. That the game plays more excitingly at a slightly higher pitch and slightly higher flipper power. I started at 5.9 to 6.0 and have since adjusted to 6.3 on pitch. I raised the flipper power accordingly. You might get an airball now and again but the game seems a lot more exciting and fun. I had started it out low because I assumed that higher speed/power was more appropriate for flow games vs. aim-and-shoot games, which I think Houdini tends more to be. But the boost is upping the fun factor, as you point out. You can set the game up to award Houdini letters more liberally - you can get 2 letters for performing enough stage modes, and 2 letters for another set of modes (escapes, trunk jackpots or magic shop visits, I can't recall). The hardest letter to get is for the combo shots (mission). But you don't need it if you get two letters for other modes. 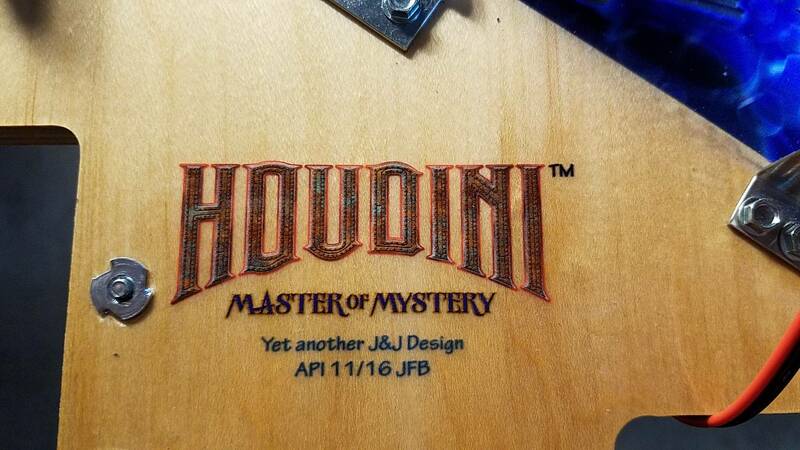 No matter how you get the 7 Houdini letters, you will get master magician mode. I've had 5-7 letters and barely 2 million points. It's how I set it up for easier achievement. My trunk catapult shot was pretty consistently veering to the left, deflecting off the clear plastic ramp. I had a 72% success ratio. So I decided to move the ramp to the right, out of the way. The alternative was to shift the catapult, but that seemed risky because the playfield cutout for the catapult arm is so precise. I unscrewed the ramp at the two posts closest to its exit, and the ramp naturally shifted to the right without me pushing on it. I tested this location and the trunk shot immediately worked 100% fine. So I carefully drilled two new screw holes to the left of the originals and reinstalled the ramp. The trunk shots are now 90% accurate. A power modulation solution may make this drastic mod unnecessary, but I went ahead and am comfortable with it, though I dislike defacing playfield plastics. I will order a mint ramp to save for future use if needed. I have absolutely gotten 7+ Houdini letters and not started the mode. how do you actually start it? scoop shot? I think i've been playing Dialed in too much, where you have those pre-determined multiballs and the Chaos in Quantum City mode before Showdown/armageddon. Thanks. It was made by former Don Post master painters a few years ago. I completed the 7 letters and got a scrolling screen of instructions for phase 1 and phase 2, which went by way too fast. I then got a multiball (6), so I must have made the triggering shot by luck. Perhaps it was the scoop, which seems logical. 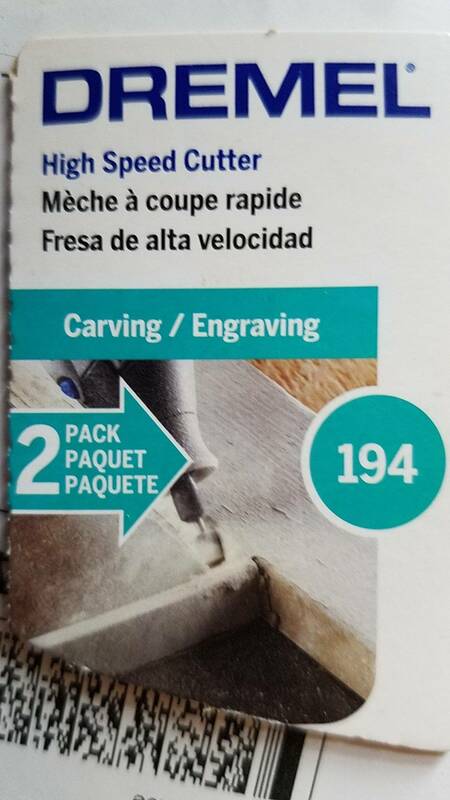 I hope someone posts a screen shot of the instructions. I've been considering this modification as well. My catapult has been missing to the left and I believe part of the problem is the ball hitting the edge of the ramp when launched. 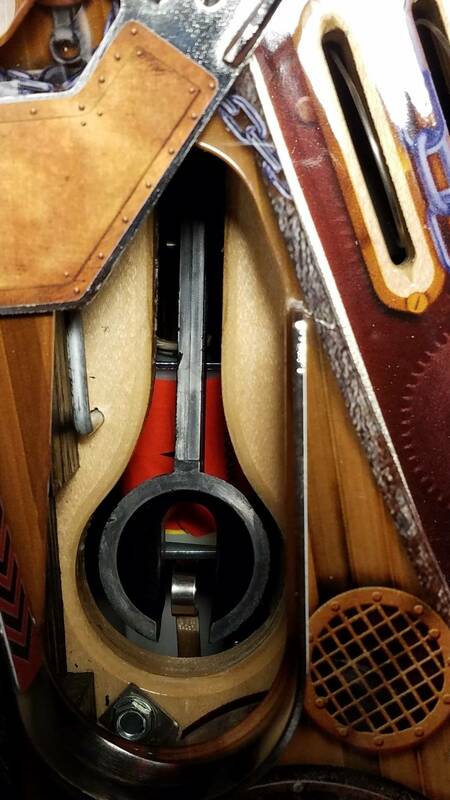 There was also a post a while back about the catapult scoop hitting the edge of the playfield cutout (on the upper left edge of the scoop). The poster trimmed of a little bit of the scoop to allow more clearance between it and the cutout. I don't recall if this totally fixed his problem but this may also be a contributing factor. In the post, he tried a number of changes that all helped a bit, but didn't get it to 100%. He saw some wear from the cat saucer hitting the edge of the cut-out, which I didn't see. If you can shoot a video clip and watch it in slow motion, you maybe able to see the ball hit the ramp or not. At higher coil strengths, the ball never goes left, it goes way off to the right consistently. So that led me to suspect ramp interference at the lower coil strength. So far, working ok. I hate having to put holes in things, though. Had the privilege to quickly tour the API factory today and play a table with Josh. Thanks for taking the time! Soooo, I reached what I -think- was the master magician mode. I’m playing a game, and I must have gotten my 7th Houdini letter - and all of a sudden the game starts rocketing balls at me, the Flippers are reversed and I had to hold them down to flip (like the hard strsightjacket mode) and a TON of text is scrolling by on the screen - I didn’t know what happened! Then I tried to keep up for a bit and “prove I’m a master magician” and when I have lost a few balls I eventually notice the screen is black, nothing on it. And I lose my last ball, hit 3 million, and the game goes dead. Shuts off, monitor says “no signal” and I realize it’s rebooting.!!! And no it did not save my score. All I was trying to do was get all 5 film modes and I think the last film mode finished and I got the 7th Houdini letter and master magician started. I think ? Never got the film wizard mode. Same thing happened to me. Josh is fixing the ball handling in next code release. I had 2.8m racked up. Per Josh, they will build both in the new larger location they are moving into. Attractive artwork and given the concerns regarding the durability of the artblade material offered by American Pinball, these look to be a nice option! I like the backstage graphics. Since the theme brings you to a theater, the insider-theater API art makes logical sense, but so does the outside-theater/alley- way art. Steampunk doesn't seem to advance the core theme as much as the other options do, but corresponds to the cabinet well. If you are having problems with the Lower Catapult making it into the Trunk. Should be on the web site shortly also. Is this cleaning to correct height of throws or left-right aim? so my Houdini works now on the latest Code. Also the whole theater works fine. Thanks to Barry and the AP-Team for Support us!!! Coilsetting is 27 ball goes strong right next to the trunk. I put on new washers to the coil and the arm of the catapult so there is now no movement to left or right. Any idea how to fix this? - Or can some share a picture of this lower catapult and how it is adjusted? Sometimes it need 2-3 attempts to get the ball back to the game. Sometimes the first attempt works perfect. 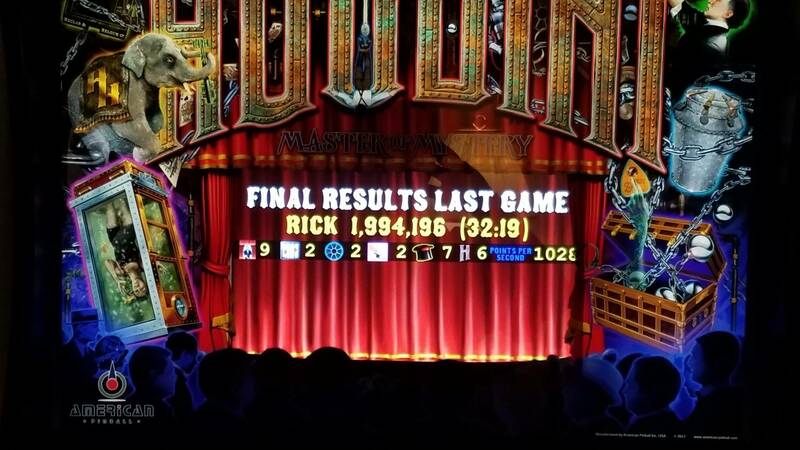 During trunk multiball the left flipper lost the power for a a few milliseconds and dropped. Then it worked normal till the next ball lands on it. Enabeld "AutoBoost" but didn't solved my problem. 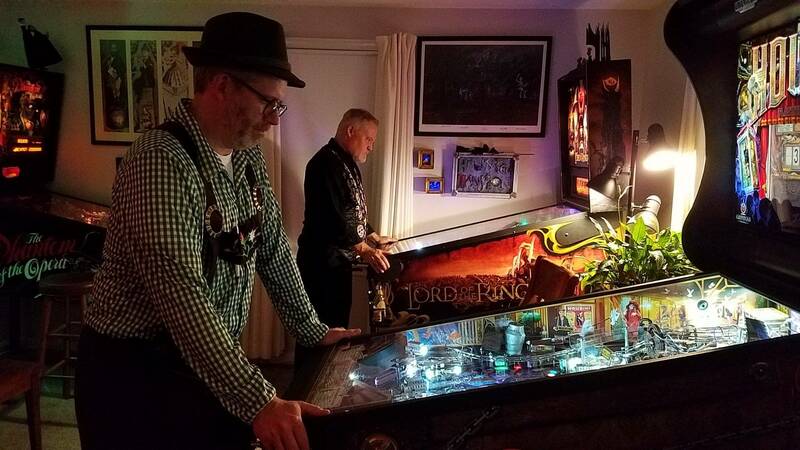 During the seance-multiball it worked flawless. Hope you can help me to enjoy the game! On my catapult, 27 throws wide to the right every time. Lower the power till it just clears the trunk lip. If the ball then misses to the left, you may be deflecting off the ramp. I moved my ramp the the right -- see my post and photos on p 116. Also, there is a cleaning procedure that is supposed to help, posted on API site. Culprit for all your problems seems to be power fluctuation, something api still needs to address. search this thread for posts on power. I will look into other issues you are experiencing. barryj Should we clean the parts with alcohol or? Sorry. I just reached 6 months with my machine. Ive been threw ( see the pun) this in detail. A second more expensive option is a different power driver board, or all new transformer design. The API catapult cleaning procedure didnt work for me, sadly. It actually is missing the trunk more often now. My power reads between 121.0 and 121.8, so I don't think the juice supply is the problem either, in my case. The arm just wanders. Meanwhile, I cant make the ramp shot or any right-flipper backhands worth a damn. Put a thicker washer to the catapult assembly. Then you have no movement. Had the same issue before cleaning. I clenead it and add a thicker washer. 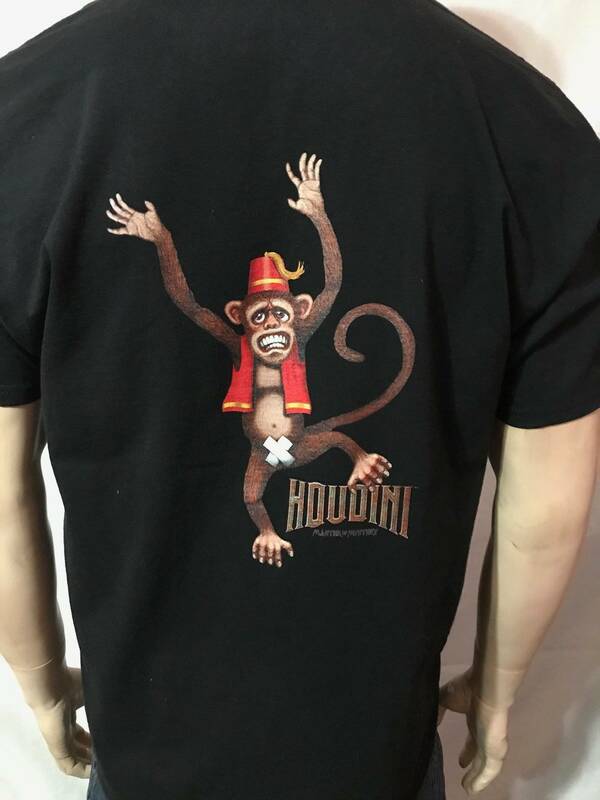 Btw: can someone share a picture oft a "perfect" Flipper aligment for houdini? Any thicker washer I try causes too much tension on the arm. Once the clip is forced on the post, the arm is too tight to move. What is your playfield pitch at? What power levels are your flippers set at? It would be a good starting place for comparisons. Pitch is 6. left flip is 24, right is 23. I can complete the ramp shot, just cant find it consistently. 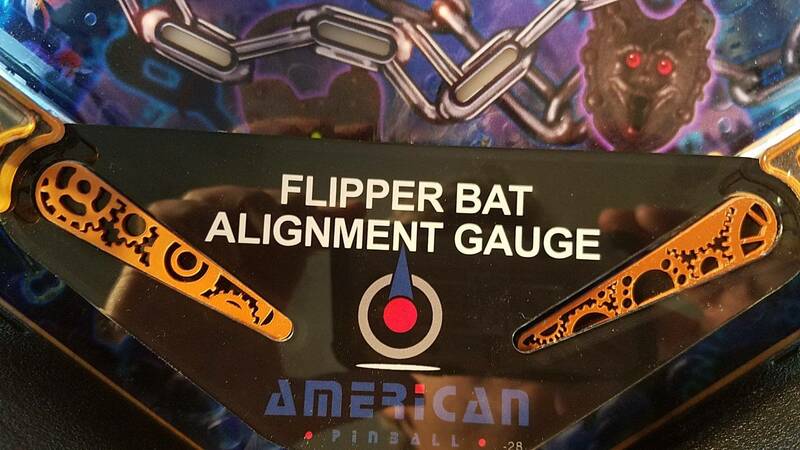 Flipper angles are factory, but not equal. 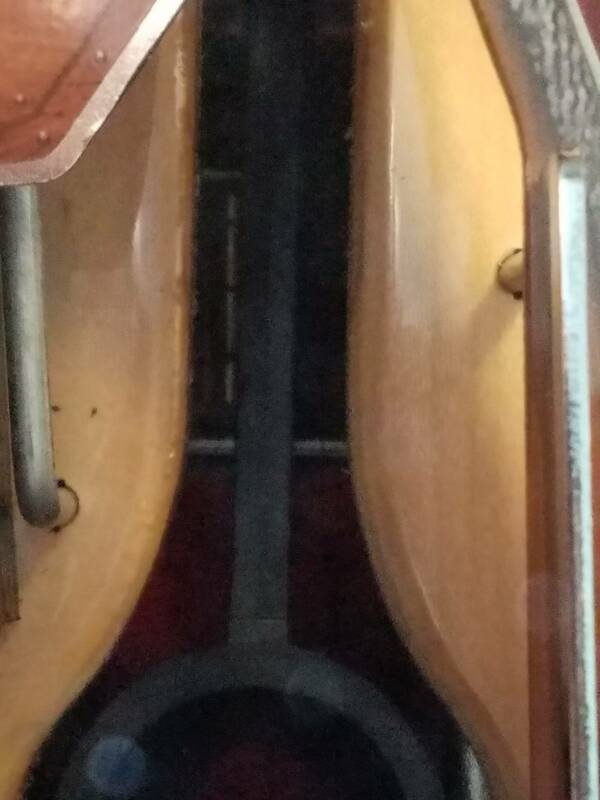 Left is centered on the hole, right is a little lower. Would backhand shots to the right right side of the playfield be more achievable if I decrease right flipper angle--raise it above the hole? What are your flipper power settings at? 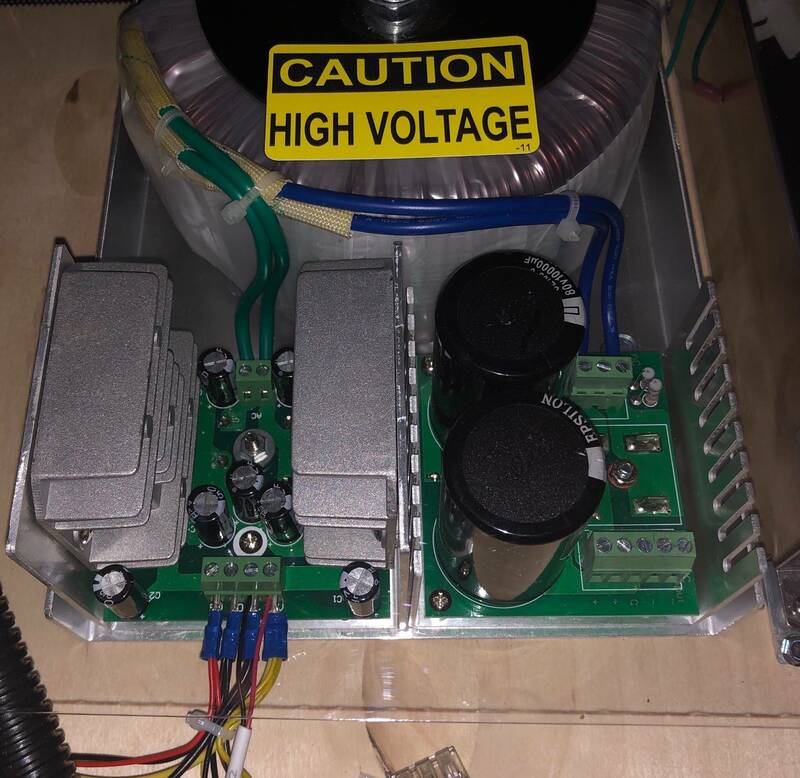 Have you tested the OUTPUT of the switching power supply? Maybe it's low. Not sure how to test ouput. I plugged killawatt into the caninet power supply and checked it during game play. It hovered around 121. You need a multimeter and have to lift the playfield. What are your flipper coil settings in the setup? flippers 24 left, 23 right. Small adjustment with a big payoff. It's just not necessary to have the milkcan shot be impossible. 2mm drop was all it took. Would this make backhand shots harder? I side cut the hole with a dremel, so only the width of the holes were altered. The target fits perfectly. The right target was also slightly moved. I did not bend the deflector at the end of the lane guide on the right as it should naturally drain a low inertia ball to the right inlane. If not, adjust as necessary. I actually chained shots across the orbit, inner loop and ramp last night. My Houdini has flow now, real flow! 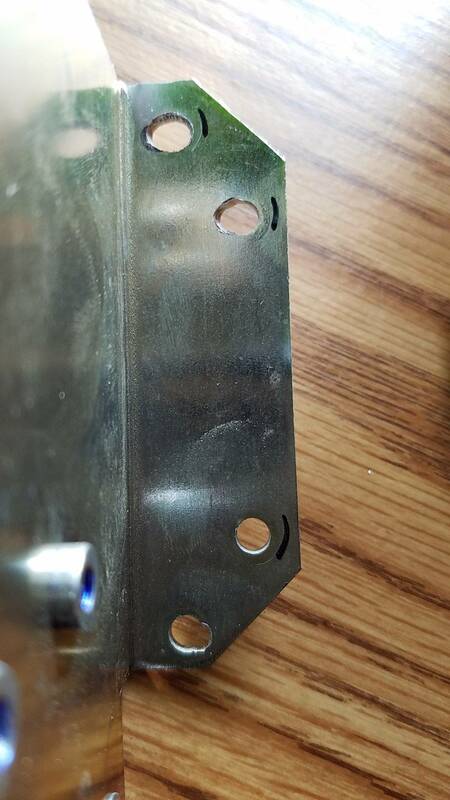 Did you drill the metal bracket holes wider, of the wood playfield holes wider? Bracket hole widening seems less risky. 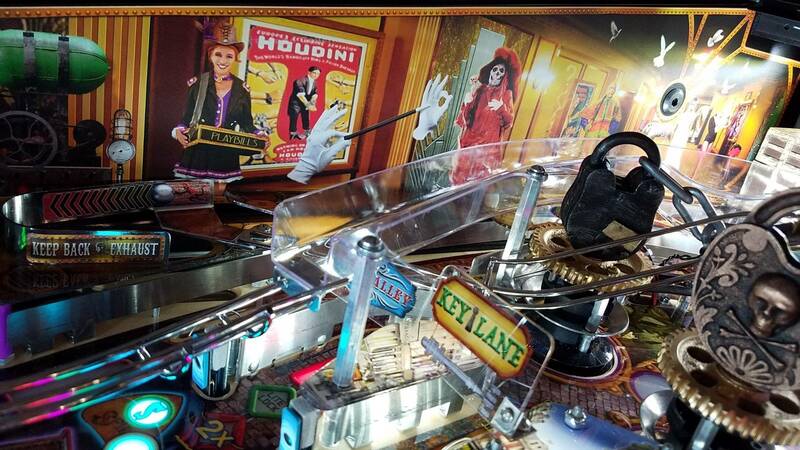 I figured out that the table has a physical 3-balls lock on the left side as well as under the playfield. Is that being used in the code? Not that I am aware of. Would be great if these will be used in a future code update. I also saw that the stage can function as a captive ball. Same question here… is it being used? I asked the same things. Josh posted an explanation of the stage captive ball, noting that he wanted yo do more cool things with it but couldnt because of a late design change to the stage saucer. It is only seen in a couple stage modes like milkcan escape, where it rises up beneath your real ball. A setting allows you to enable the real ball to roll off the captive ball and come down to your flippers. I think it is called "stage eject" on setting menu. 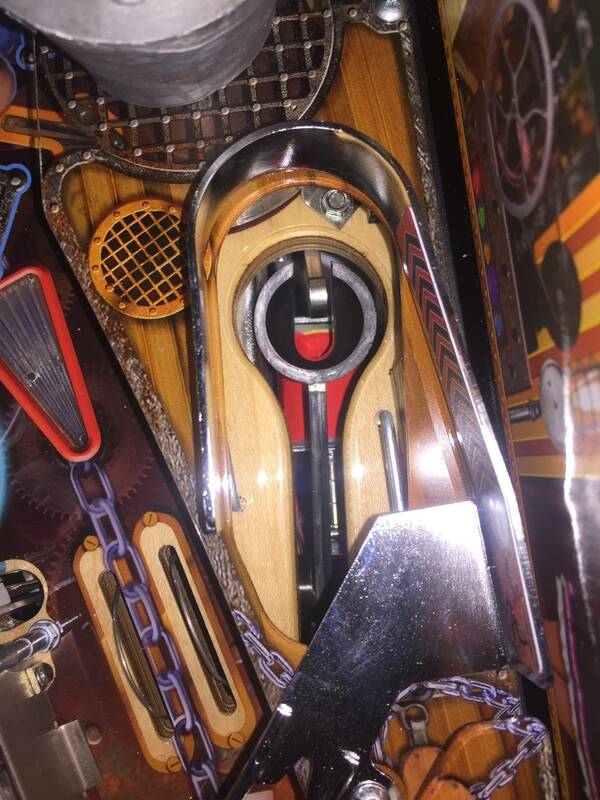 The playfield lock below the ramp is only used to hold one or two balls at most. It is not s major freature of the game, and only raises the trunk jackpot totals when you lock a ball there. Thanks! What would be the normal output I should be expecting? 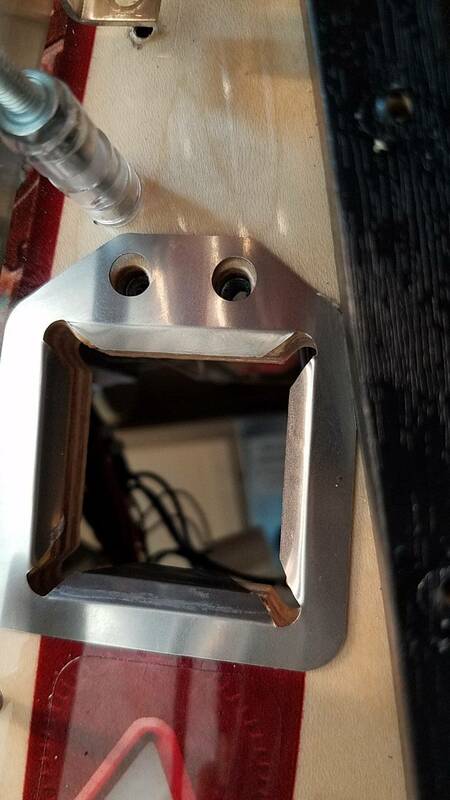 Only the metal bracket. Do not drill the wooden playfield its risky and totally not necessary. Took less than 5 mins. I moved the c target and lowered the flippers and seem to be making more milkcan shots and inner loops. Set a new grand champion score right away. I still find the ramp shot to be the most frustrating to find. Never get the elephant where he needs to go. Cool. Post some pictures of the arrivals. Congrats on the new highscore! The ramp shot can be elusive as hell. Last night I made it 15 times in a row, this morning the ball cant seem to find it. If your flippers are weak set the settings higher like 27 or 28 and see if it's too much. You can always go back down. Mine are at 27,28 today. Hey thanks, and I appreciate your tips. I look forward to more chaining shots and spy combos. I did ride a thai tourist elephant last summer and feel guilty now knowing what treatment they get from the handlers. Would be fun to have some Bess callouts, or tips from the female assistants (no giggles, please). 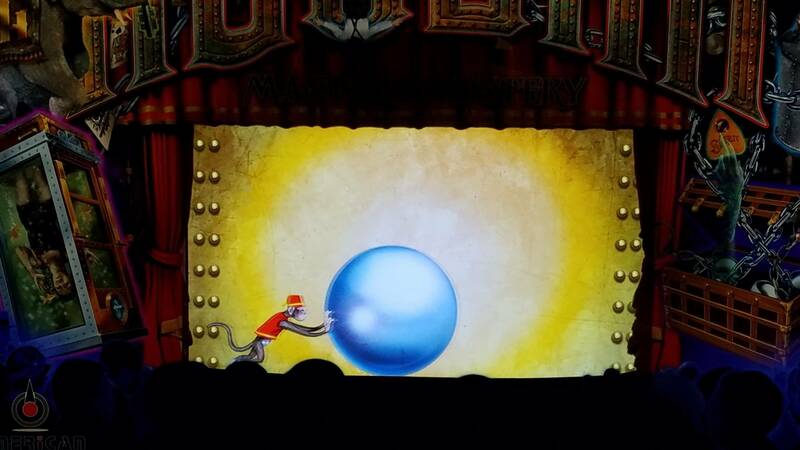 Oh, and squeaks from the monkey would be fun as he pushes the extra ball across the screen. "All modes benefit from stacking, with Indian Needle Trick being the one with the most upside from stacking. A recommended strategy is to lock two balls in the trunk, then light a Movie Mode by spelling FILM at the lower lanes. Then shoot the right inner loop, which starts the Movie Mode and Trunk Multiball at the same time." Hi my name is Ylva and me and my wife Linda just bought our Houdini pinball game. Yesterday night we just put in on legs. We haven’t done any adjustments, and we have only time to play 2 games each. I would love to get a tips of the settings you do in the beginning. We have other pinball games to buy it’s AP first game and I’m don’t know the menu. Can some one point me in the settings so start whit. In my collection we have a Dialed in LE, The Hobbit Black Arrow, Wizard of oz, Game of Thrones, Guardians of the Galaxy and Ghostbusters. I wounding of anyone knows about some mods for the game? Hello Ylva and Linda, and welcome to the magic. You can find a rules list in the manual, and on this thread at post ##272. Some suggested home settings are in post #4987. My advice is to use easy play settings at first so you can get to know the game. In particular, maximum ball save time and maximum times for stage and movie modes. You can also set it to 5-ball games. Good luck and enjoy. FYI, a new coin-type custom shooter rod has been posted on the Cointaker website for $40. By one and try it. As the flippers are currently set, they sometimes feel spungy and listless on some shots. But I’ll try lowering. I put all the leg levelers all the way down. I even bought a digital level which shows me 5.9 or 6.0 near the flippers and 6.1/6.2 near the top. So I assume this means I should be close to 6. There is a scoop adjust procedure on api site. i used it to make the scoop deliver ball to right flipper instead of the left. It takes a combo of coil power adustment and bending the scoop hood. i didnt need to bend the ball guide. Stage saucer bounce outs happen from strong flipper settings. be sure to calibrate stage. that might have some effect too. I don't think you need the bee protectors, but you can certainly get the clear ones. The cabinet comes with superior protection for the legs using the steel guards. My slings have steel washers already, but you can trade them out for clear ones if you wish. I added the scoop and shooter lane cliffys. Tom, why do we need shooter lane cliffys? 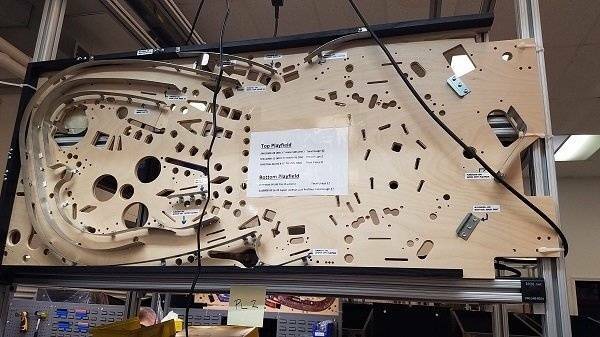 i dont see any wear on the black wood side rail or thr playfield there. The playfield is plywood. The balls are 2.8 oz carbon steel being dropped on it. Just wait for 250 to 300 plays. The clear will start lifting on the corner edges and get much worse. Multiball games eat up the shooter lane near the ejector. Same as the scoops, but more traffic. The black wood rail can be easily touched up or covered with a thin stainless piece if needed. The clearcoat in the shooter lane will start wearing thin and chipping pretty early-on from all the ball traffic and bouncing around. Then black dust will settle in and that is difficult to sand out and re-clear. So in the end it looks like crap on a new game. Cliffy's are the cheapest easiest way to keep your new game looking new. Also a great way to bring new life to worn out areas in older games. Every game should have a full set if available. If not, Cliff will make custom pieces for you at no additional charge. Yes, he's that kinda guy. Yes thanks. I didnt realize the piece protected the grooved wood floor of the shooter lane. I thought mylar was the only option for that. Trunk accuracy quest update: I took the advice of helpful pinsiders and dremeled ovals in my catapult mounting bracket so I could pivot it slightly to the right to correct a very slight crookedness in the slot cutout. In pics you can see I only had to work on three holes. The 4th hole to the rear of the catapult mech can be left alone and acts as a pivot point. The dremel bit I used was perfect for this. The pic shows the alignment in the slot after adjustment. 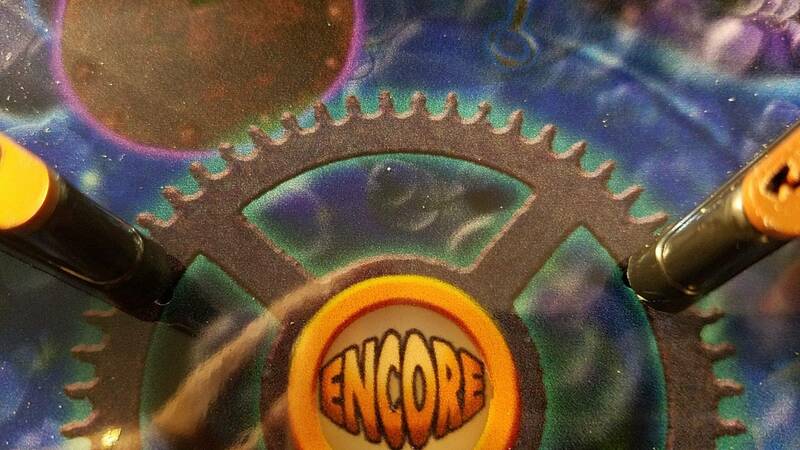 The saucer and arm ended up closer to the right side of the cutout, but parallel to the edge, and it doesnt rub. Since doing this, I have had 100% of about 18 trunks shots go dead-on straight into the middle of the trunk. So far so good. Maybe API should redesign the mountjng bracker with oval holes so owners and operators can adjust side to side aim? I still want to see Blue! I put these in my Revenge from Mars and got very little diffused light at the edges of the plastics.Maybe because I still have incandescent bulbs in there? You have to complete the escapes for bonuses and letters. As in life (or the way it used to be...), you get little or nothing for trying. I just had an amazing game with over 800k in bonuses on one ball. To celebrate this, I quickly bricked every shot thereafter, drained all extra balls on dumb mistakes and any self respect I thought I was getting. Ahh, thanks for clarifying. Wow, you must be getting a big bump from consecutive ramp and loop shots. Ever notice when you are TRYING to hit the seance letters, you magically make all the lanes and loops? I'm sorry, this is my first NIB game. How do we open a ticket for this? What information do we need to provide? Don't they already have a service bulletin to fix this? Also, does anyone know how we go about getting the speaker grill light blockers? Is that through API or the distributor? If you dont see light coming through the perforated areas of the metal grill, then you dont need the foam. My game, #294, came with the foam already installed. If you have a later serial number, you probably have the foam too. Light coming thru at the far edges of the grill is normal. Maybe get a little plug in voltmeter to check the wall power if something changes dramatically. 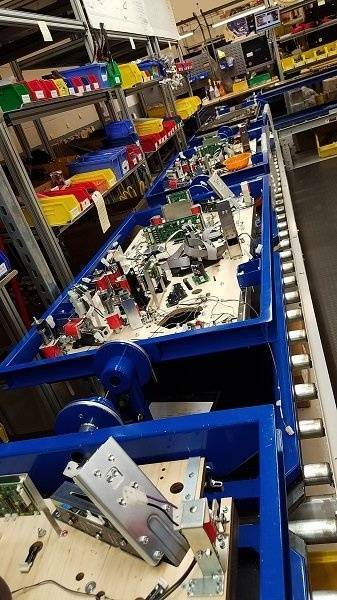 The power supply upgrade: Will this also address the lower catapult inconsistencies related to line voltage? Yes I need to know this too. I never have flipper issues. Just a wandering catapult shot, and a falling short shot also. Thanks vireland I'll be interested to see if this resolve the intermittent flipper weakness in Seance Multiballs. If it does I can use the $150 towards a shaker or/and knocker kit. Wouldnt the shaker and knocker put more strain on the power? Will the upgrade compensate for that? Just upped my flipper coils by 1 from the stock (so I think they are at 23 now?). VERY different shooting game now, wow. The ball felt like it was rocketing all over the place! Definitely makes it more fun but I’d be concerned about breaking stuff in there! Shaker maybe, knocker not really unless they use it in ways we've never seen before. I wouldn't expect it to be firing when I'm in a multiball except maybe one time if I hit a replay. 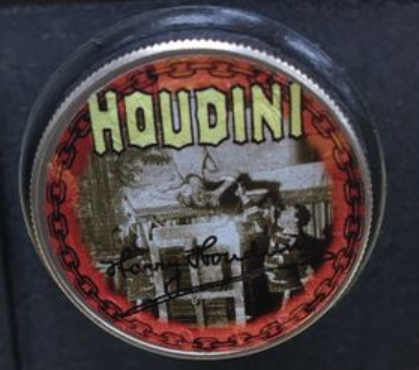 I haven't played a Houdini with the shaker in it so I don't know what triggers it. Since the offer is so good (it's like getting the power supply free if you buy the shaker and knocker kit) I'm going to order all three and see if it makes a difference for me. I don't have the fluctuating line voltage like some others do and my lower catapult accuracy is 98%. The upper one shows it's only at like 75% but I have NEVER seen it miss so I don't know what's causing that number to be so low. I have 70s on the upper catapult too, but it almost always makes it, so I think the calculatuon is funky. Sadly, my lower catapult accuracy is mired at 76%. Got 7 letters tonight, but game rebooted before I could start master mode. Then got 7 again, and played the master magi mode. A wild multiball with reversed and inverted flippers.I got what looked like a 20 million or 20,000 jackpot, and then time ran out and game reset without saving score. Looking forward to the fix. For me the key to getting 7 letters is mastering the first few combo missions and escapes. Meanwhile, that damn elephant still eludes me. Ok, now you're just making stuff up! The music in Houdini is great. Really listenable and doesn't get old. I haven't noticed it with the stock speakers. Do you have a sub? No, just stock sound. It is a deep bass groan that lasts about 3 seconds. Wasn't too bad at all. You dont have to remove a lot of stuff just loosen to get it out of the way. Remove upper right edge plastic. Remove nuts and screws from planchet plastic. Push aside. Remove screws from metal lane guides. Remove 2 nuts from underneath. Remove 4 of the wooden side rail screws. I had to loosen the autolaunch 4 screws to access the first screw for the wooden siderail. You can finagle the scoop protector into the hole now by lifting up on the metal lane guide and lifting up on the wooden siderail. I put a fender washer under the wooden rail to hold it up temporarily while working the metal guide. After installing the scoop cliffy, install the right side of the shooter lane cliffy while the siderail is loose. Reassemble everything working from the top. Replace the siderail screws last. This way you can get the shooter lane protector where you want it. Installation of the left shooter lane protector is super easy. 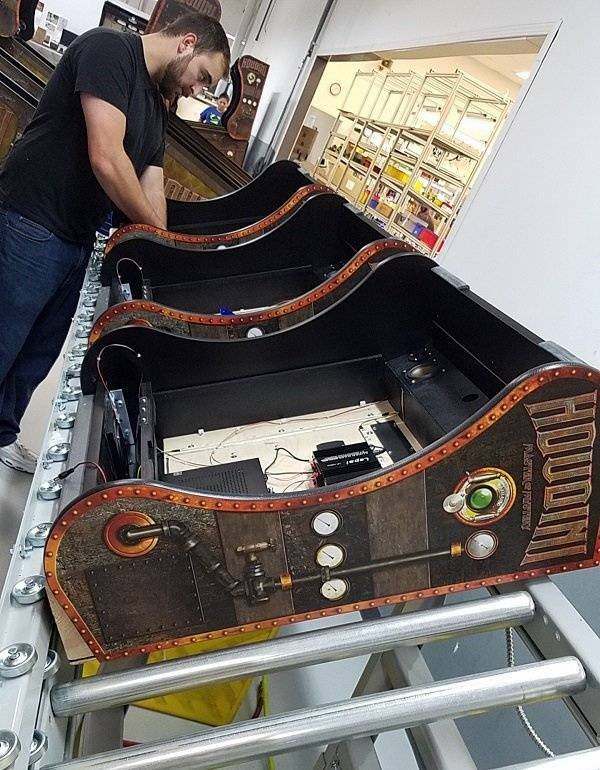 Remove the 2 screws in the apron from the front playfield hangers. You have to remove the 3 screws for the inner wooden siderail to make it easier to adjust. Remove 2 of the 3 machine screws from the trough. Install and adjust as neccesary. That's it . It took me about 35 mins total and I took my time. Next one will take 15 mins. The scoop protector I received last week was already trimmed on the right to fit snug against wooden siderail. No need to lift side rail now for this installation. Yay! I had to loosen the side rail which only took 2 minutes. In order to get the metal Edge under it so that the scoop protector would lay flat. That is what he did apparently. I got mine this week. Next release ready for some owner beta testing, PM me if interested in being a guinea pig. Bug fixes and improvements, not much new. Matt also doing music for Oktoberfest -- quite different and suspect it will be very well received, the team here is really enjoying what we have gotten so far. Oktoberfest should come with a custom Pin Gulp cup holder. Or two. Is there a rules sheet? And how to validate the 2X playfield? Just hitting the stage alley lane and the ball rolls over the switch behind or the ball needs also to go in the stage? When you have activated 2X stage scoring, those words will appear on the backbox screen while you are playing the mode. No words, no 2x scoring. The stage bonus for playing all 10 acts is amazing ! All that plus multipliers ! Found this under the Houdini apron. I wonder what 11/16 signifies? Installed the Cliffy shooter lane protector. Took about 30 minutes to get them in and positioned precisely so that the ball rolls along the metal edges and doesnt contact the wood of the shooter lane. Now to put it all back together . Did you use clamps to hold the outside rail while you tightened the screws in? It would help to use a clamp because there is a little spike of metal that needs to dig into the underside of the outside wood rail. I did apply a clamp to see if I could tighten it more than when pushing down with my left hand. It seemed to help. 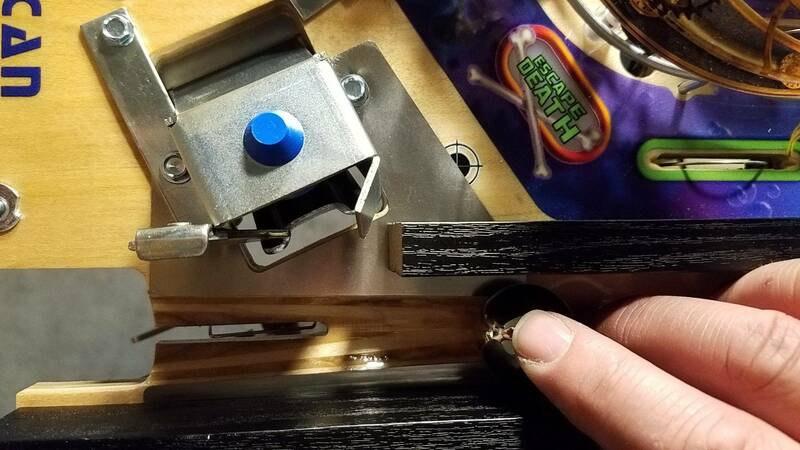 Cliff has tips on the installation here http://passionforpinball.com/twd/TWDProtectorGuide.html. I didn't remove the rail, just loosened it. Check out post #5727. At first my catapult shot was making the trunk shot 95% of the time. Then, seemingly for no reason, it started becoming more inconsistent and shooting to the left. I tried moving the catapult assembly around, cleaning etc but it didn't help for more than a game or two. I downloaded a "slow motion" app for my phone and noticed that the ball seemed to be deflecting off the side of the ramp. I drilled new holes in the ramp (per post #5727) and the ramp easily moved 1/8" - 3/16" to the right. As a matter of fact, when the ramp was in its original location it was under load and when unscrewed it sprung over to its new location. It took 10-15 minutes to correct after I diagnosed the problem and since moving the ramp (aprox 150 games ago) I don't think it has missed more than once or twice. I did the same thing, moving my ramp to the right. After several games, the shot would consistentlyiss left. 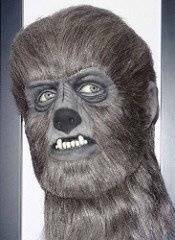 But I would advise before you drill considering whether the api power upgrade would be a better solution. I have moved my ramp back to its original position with no ill effects. The ramp may only be an issue when the power is low or erratic. I also notice that when I lower the coil strength, the ball still flies straight with no ramp deflection. It hits the trunk too low to go in, but it is straight. My trunk accuracy was 70% before moving the ramp, and 76% after pivoting the whole mechanism. So my hope is the power upgrade will get it to 90%. Good! Mine is enroute. Let us know how it goes. Literally JUST used that for the first time tonight. I had not needed to adjust the flippers before, but i tried out dropping them 1/8” and .. yeah not for me. Way more SDTM, felt like a Trudeau game. You guys might want to consider cutting them with a TINY bit more tolerance - I used mine on the flipper and it it so tight (maybe it has to be?) it ripped off the steampunk gear thing on the right flipper. I was sad. They are tight and trick to get on. I hope you can fix the flipper topper. If not, they are available at the API shop now. Had to fool with the scoop a little, but I had never adjusted the angle of the scoop itself, so i bent it up a tiny bit and that solved that. No issues with coil. I also went through the latest beta code, and although after I cheated my way to and through the Master Magician mode (unfortunately it still resets) but I think I otherwise tested every other scenario possible. 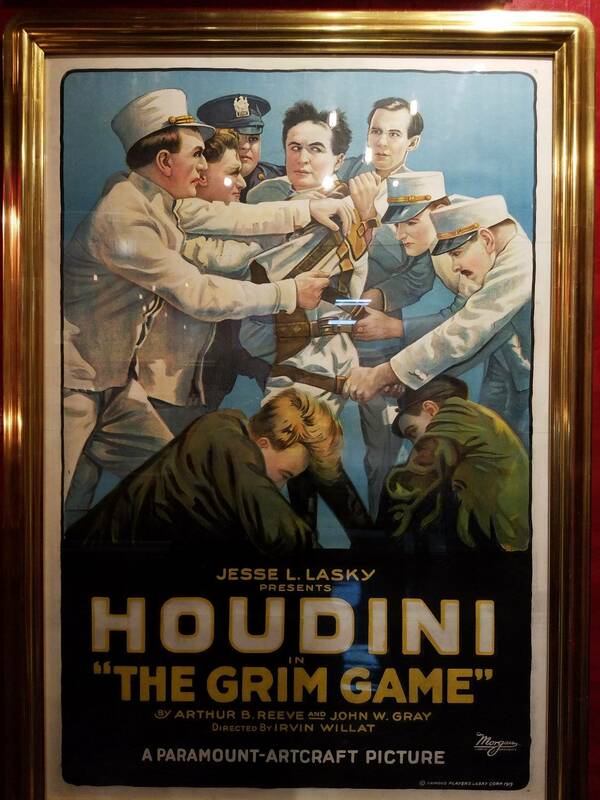 Very cool game this Houdini! Thanks for the quick report. The fact that it is playing great on factory default settings and under a high-power load sounds very encouraging. I too got a MM reset error after losing the final ball with the new beta software. I let Josh know and sent my logs to him. Hope he can figure out the culprit. I guess the old power transformer is disconnected and nonfunctional now? What are you folks going to use your 150 credit for? I'm thinking shaker and Houdini work shirt. Spare plastics set is a practical choice. You will love the shaker. I may get the knocker and a backglass. I have shaker, side art and magic glass. That translite is gorgeous. Need to build a lightbox to display it. 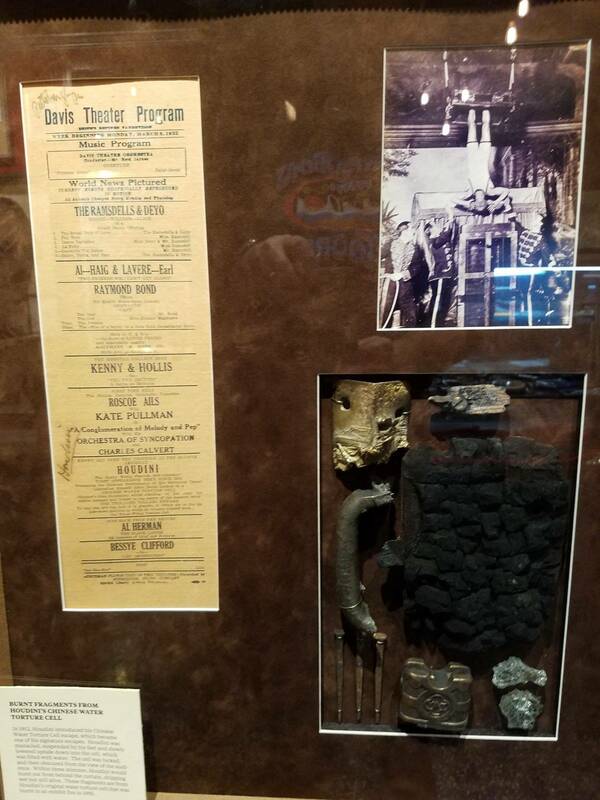 Heading to Marvins Marvelous Museum tonight. Will check out Houdini there. Location Houdini at Marvin's in farmington MI has a few wear and tear issues that we may expect on home machines eventually. Both flipper toppers are broken. Blue lens missing from one spotlight lamp, and planchette is twisted around. Trunk shot is aligned but misses short. There are red rubbers on the flippers instead of the purple silicones, which seems to make backhands easier. 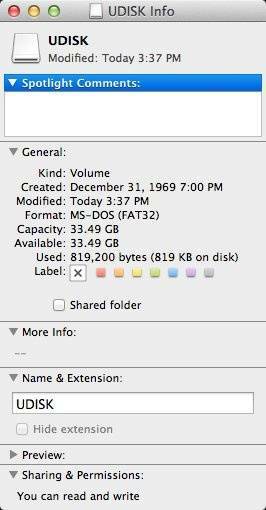 Software seems to be two versions old. Ball save is generous but other settings are standard hard. I also enjoyed Iron Maiden premium...great animations, callouts and tricky shots. JJP Pirates was stuck in perpetual ball search, sadly. Deadpool premium was interesting and funny. Wow, you have really mastered the stacking and multiplier strategy! 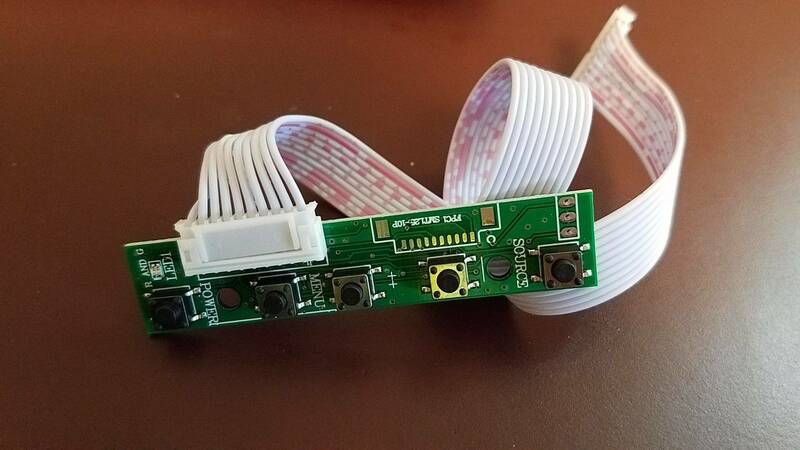 They go into the back of the connector that already has one brown or black wire going in. I want to say there are 6 openings on the correct side, with one colored wire already going in. They can go into any of the empty spots. Just make sure to keep the black with black, and brown with brown. It seems like the existing ends of the disconnected wires can fit into the wall nut without having to be cut off and stripping the wire. I will try it that way. 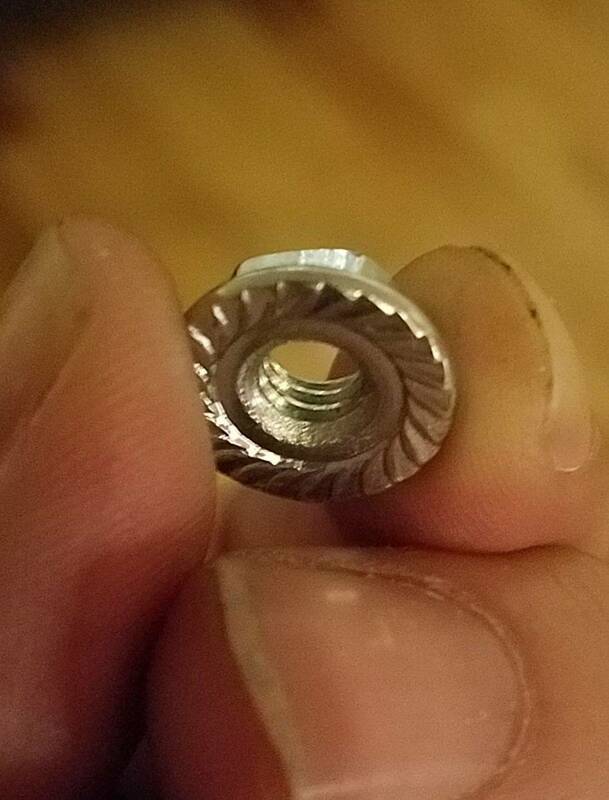 Found this loose nut in the back of the cabinet. It matches the 4 that hold the coin door to the cabinet, but thay are all in place. Couldnt find a bolt that is missing this. 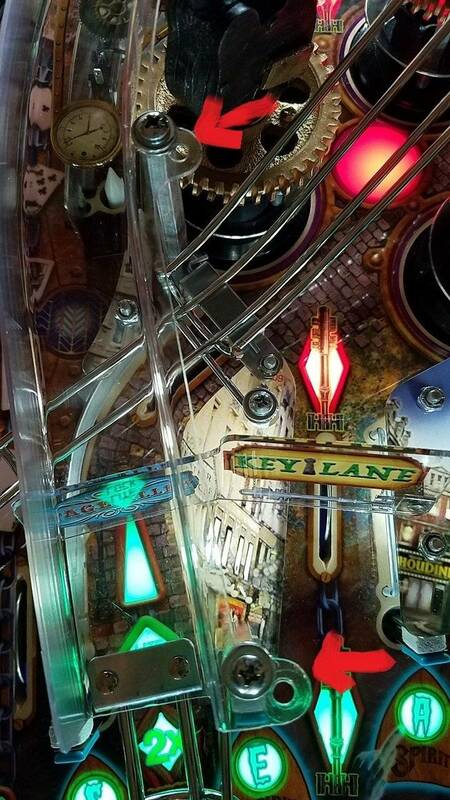 I think it is for the cabinet rather than playfield because it is so large. I can change the GI bulbs in the back, but not sure about the led strip. It seems tightly wired the the back wall of the playfield. Hard to see how to disconnect it. 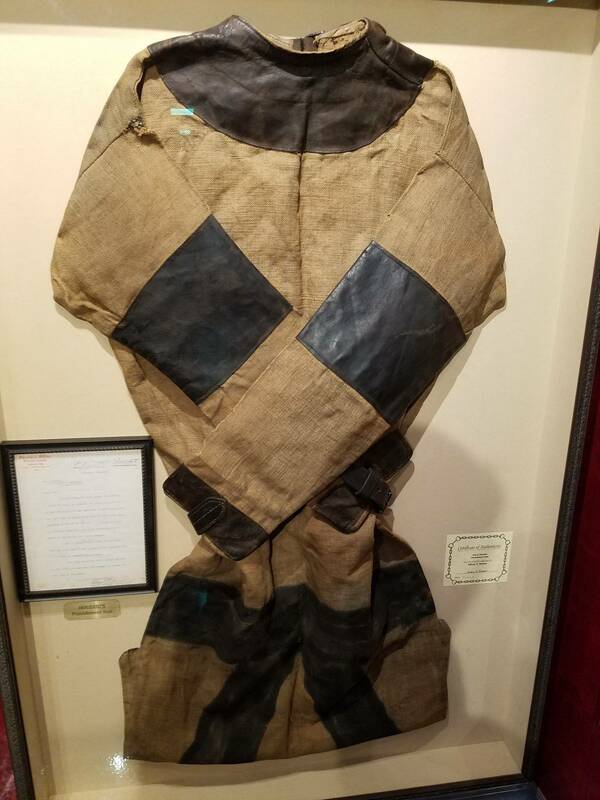 After watching a magician recreate Houdini's upside down straightjacket escape, it occurs to me that when we cross our arms to work inverted flippers, we are mimicking Houdini's inverted arms-across-chest position in the escape. I thought this was just a cheat move. But Josh and Joe must have had this in mind, those wily geniuses. Um. Yes... how did it take this long to come up with this! Much has been said about it in this thread. Do you have the upgraded power supply? I would get that first. Then adjust the mech by adjusting the power or tilting it with washers or slotting out the mounting holes to allow for sideways adjustments. If the misses are consistent rather than intermittent, you might also try the cleaning procedure posted on the Api suport page. If the misses are intermittent, it is probably power related. My trunk shots are dead center since installing power upgrade. But during our halloween party, with multiple pins running, ball started to clip the front trunk lip. I boosted coil 1 point to 28 and it cleared the lip fine and still stayed centered. That is the highest setting I've used, and it is a wicked fast shot that you miss if you blink slowly. Master magician mode still resets for me in the current beta. Josh says it will be fixed on next release. Finally played movie binge, but wasnt clear on what to do. I need to a screen capture so I can see what is going on. After playing my game for a couple weeks with the power supply upgrade, and adjusting my settings for it, I cant believe how stable it is. My catapult is basically flawless, once in awhile a ball will bounce off the lip of the trunk and still go in, but thats the extent of it. It hasnt failed to make the trunk. All of the coils in the game are consistant other than the scoop. The scoop is still 50% accurate but doesnt go SDTM. The ball just bounces off the top of the right sling instead of draining to the right flipper. I would like to increase the time on the scoop eject ball save 5 seconds. One last tweak Im making is to widen the stage alley entrance slightly. Im getting a lot of rattle/rejects here. It can be improved. Moving the seance standup target 3/32" to the right, on the right side. 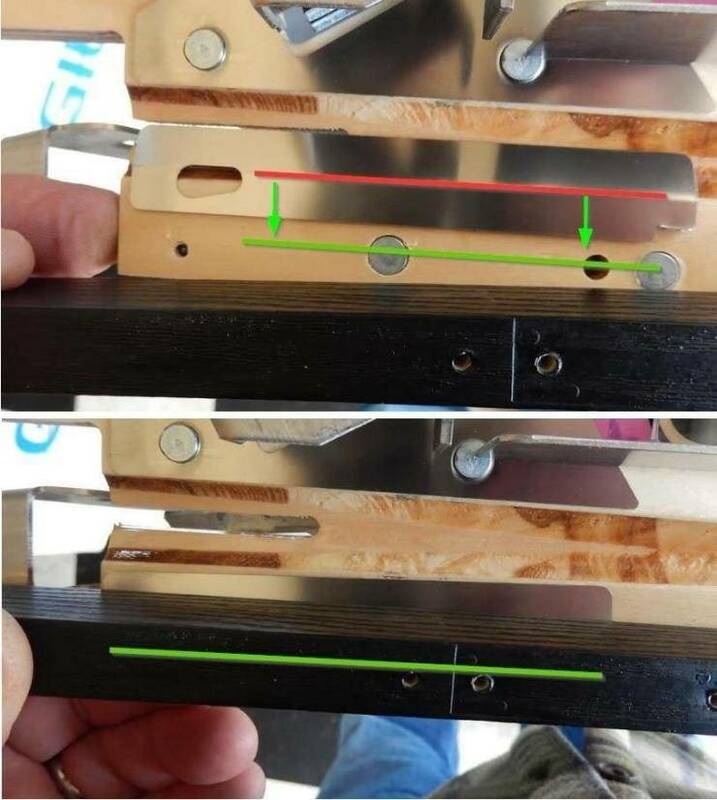 This wont narrow the keylane shot as most people have already bent the deflection tab out 1/8" already to stop the dead drops from the keylane from going SDTM. My scoop has been pesky in the same way since installing the upgrade. Wonder if it is work widening the hole on the steel ball guide to push the ball out more toward the flipper? One other concern is bounce outs from a strong hit to the scoop. The ball hits the rear ledge of the scoop and rebounds out instead of dropping inside. This started when I lowered the playfield pitch to 6.15 degrees. This is probably from adding the cliffy. It firms up the rear ledge and makes it springy instead of the plywood edge absorbing the shock. I'll have to see if bending the scoop forward or adding washers to the rear helps. Let me know what you find out. I have the cliffy and havent had many bounces, but the inconsistency seemed worse after installing it. At pintastic in june, Joe Balcer said that Api was going to provide a scoop modification, to deal with the inconsistency, which was an issue then. But I havent heard more about it. I like smashing the ice and knocking out Q, in that order. The reasons are that the images are interesting and the shots are fun. 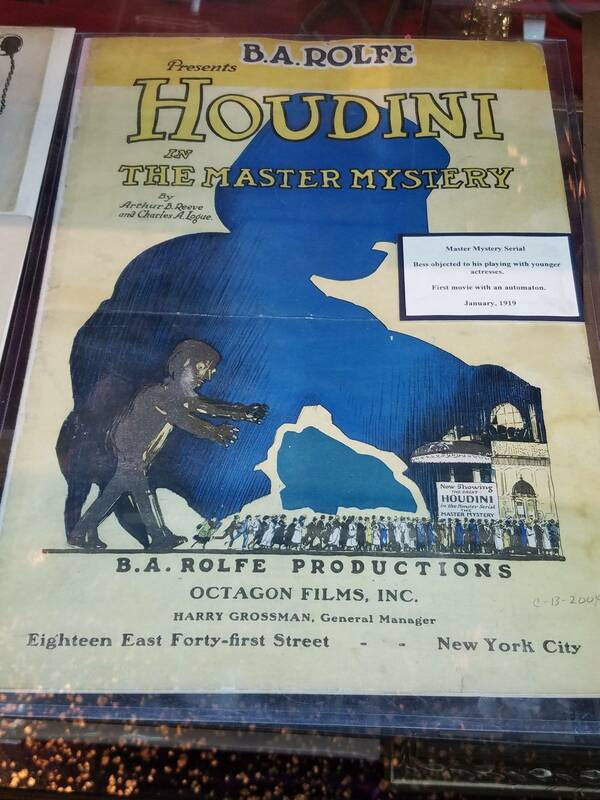 This is the second Houdini film they have shown at Halloween time, so TI was not their first chosen. Since I havent seen any, I am looking forward to it. Shaker is installed and working. But during multiball, a catapult shot came up short...first time since power upgrade went in. Will have to watch it. I had that happen also. I just increased it by 1 or 2 and it's been solid. It is at 27 now. I can try 28, but dont want to dent the trunk. It missed once early on, but never again. I just had to reboot. Rebooted all is well in the world. Sometimes it loses track of an opto or something and never figures it out until a reboot. I dont thonk it's a hardware issue but I'll check for opto looseness or weirdness. On multiplayer games I have noticed some ball count confusion like that, and what seems like short freezes of the software. Hasn't happened on single player. It is tough to document it. Well, speaking of new product, here are some half-baked ideas that might make sense for API. - Winter Olympics. Just license the logo. Include curling, hockey, snowboarding and that shooting/skiing thing. - New Zealand. Yup, do the whole country, with all the extreme things to do there. Bunjee jumping, mountaineering, etc. Shoot a ball into a (unlicensed) Hobbit hole. Have a subterranean playfield represent underwater caving. - A haunted game such as Amityville Horror, or The Conjuring series (if they want to try a license). Make it scary, not funny. 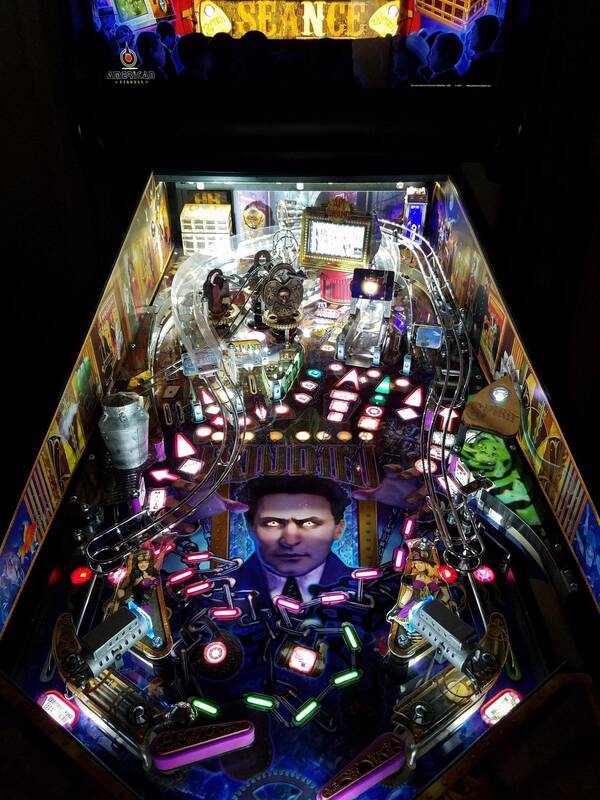 The last really scary pinball was Bram Stokers Dracula. I got the chimping penalty on straightjacket tonight. After a couple warnings, it was "Jackpot reduced." I was trying to cradle, with inverted flippers, by holding in the buttons. On mine, 200 games since Aug. 1. Knocker question. Does it only engage for a match? Will it wack with an extra ball? Looks like they've made about 500 of them. Joe Balcer said in late June at Pontastic NE that they were already at 400 games and he was confident they would make 1000. .Personally, as a big sports fan, I would love to do an olympics themed game (I have actually done curling), but suspect licensing on that would be quite expensive. How about just calling it The API Winter Games, then? Joe can design an amazing luge track ramp. I was going to ask if it's necessary. Yes. I have never tried one of theae. I heard from one person that it slows down the ball. But sounds like it isnt necessary. My flipper coils are very hot after 20 min play. Much hotter than any of my other machines. Almost uncomfortable to touch. Flipper strength is as recommended. Flippers work fine but do seem to get slightly weaker after playing for a while. Has anybody else touched their flipper coils? Is this normal with Houdini? No they dont get hot for me. Super hot flipper coils are a sign of trouble in the flipper mech. To re-visit the two Playfield supplier topic I thought I'd mention that mine is a Mirco, it is branded under the apron as is typical for them. I wonder if B&amp;T made the others? My dimpley playfield says Bader cabinets under the apron. Anyone have pics of this installed? Trying to find direction. I know if goes under the black rail but where? These are Cliff's photos of the install. And the playfield we have from a very early run (around #80) is a Mirco playfield. Number of layers look similar. 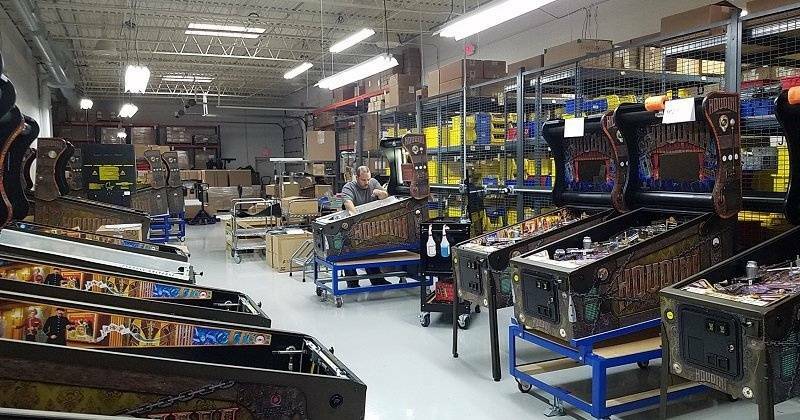 So it looks like AP is using Bader cabinets (do they have any history in pinball prior to this??) for playfields now while originally using Mirco. Does anyone's bottom right pop bumper wiggle when they shake the machine? This is the only one of the 3 that does, so I wonder if it needs tightening. I has the biggest padlock on top, so maybe tnis just a factor of being top heavy. Has anyone seen an indicator of how many balls are locked in the trunk at any given time? There are 3 balls in the scoring display, but they don't change or light up--just part of the illustration. It would also be handy to know how many extra balls are stacked up. Finally, does anyone know is the rule for how much a secret mission scores? Mainly I get 50k, but sometimes 75k or 100k. It doesnt seem related to how long it takes me to finish the mission. Just wondering. Not sure I'd go that far. Was lamenting one day that there was no way to know how many balls were locked, and looked down and said, hey, I can use those locks, they are easy to see, and are not lit very often, and even if they are, I can just alternate colors. Obviously knowing how many are locked can factor in your strategy. Good to know. I figured the padlock lights were telling us what the next shots should be. Will pay more attention to them now. How do you test the shaker motor after installed? And when is it used? After install, the Shaker must be turned on with an option under Standard settings in the menu. You can also adjust activity level there. The medium setting activates shaker during pop bumper action. The low setting eliminates this action. There are several situations in which the shaker fires, and it is fun to discover those on your own. My fav is when the jail doors slam shut. Just had a great game with version 18.11.24T, but it’s still a bit glitchy. Before the report on the glitch, I wanted to note that I received an “encore bonus,” which I’ve have never seen before but was pretty cool. The Houdini chant was neat. Following that, I managed to get into master magician mode. That was going relatively fine until I got to the point of having 60 seconds to complete the mode with the last ball. I looked up at that point, and noted that the screen was fundamentally blank. Occasional items would show up, like scoring, and the letters associated with the bullet catch mode. 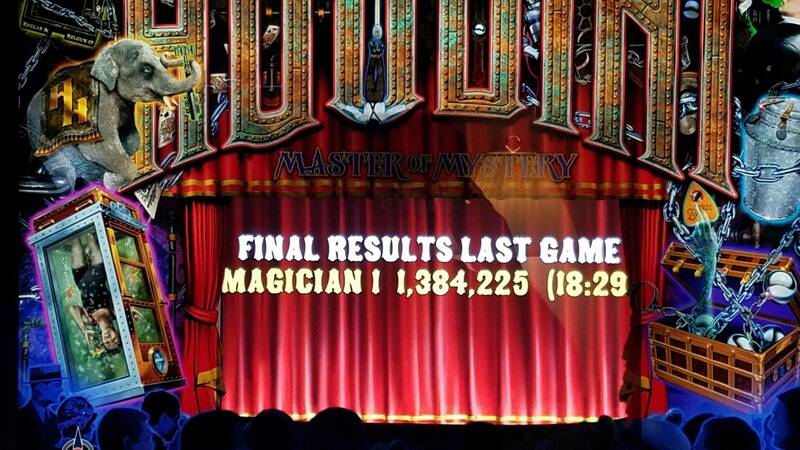 I was happy to see that when I finished the magician mode the game did not reset. It didn’t work quite right either. I was on ball 4 and it was simultaneously prompting me to enter my initials for the high score, with the associated Ouija Board graphics, and it was also prompting me to launch the next ball, also with the skill shot graphics up on the screen. The result was having the two graphics overlap each other. I was bound and determined not to let that 5,000,000+ score disappear into the either and so I manage to enter my initials. The high score entry graphics disappeared, and I launched the ball. While the ball was in play, the monkey with the symbols “match” graphics popped up, overlapping the regular gameplay graphics. At that point the flippers went dead, the balls drained, and the game ended on ball 4. I did manage to retain the score. The score shows up as grand champion. I also noticed that the bottom third of the game went completely dark at some point. That would be Houdini’s eyes, the chains and locks. I think this happened as I was in master magician mode also. Otherwise, the game performed perfectly up to that point. I was absolutely pleased it didn’t reset after master magician, but I just wanted to report this. Hope it helps. I had one end of ball sequence after the ball went into the hat hole. That could be a cool feature -- the ball disappears in the hat and you lose it (maybe 1 in 20 shots). Adds an element of danger and mystery to the hat shot. rosh "can't say I did a lot of testing on a five ball game, I'll look into it." Ohhh, I see. I actually like that. The one time I "Conquered the Universe" in AFM, I thought things got kind of boring after that - no longer any point. Exactly! Just like in Revenge from Mars. You destroy the Giant Brain and blow up the red planet, and then you have to go back to earth and squish martians in the bar again. Dull and illogical. Right? For home use I’ve got to have goals, and being a master magician is noble and lofty enough. For me this is all rather hypothetical since I kind of cheat. If not for setting everything to ludicrously easy levels and getting God only knows how many free balls, I would never get there. I get the idea that the game is ripping the player off for the remainder of unplayed balls, and that just comes down to a philosophical question that’s going to vary from owner to owner, so no wrong answer - just different answers. Love this game. For me it’s a keeper. I've got the same plan as you, and same pain with that ramp. It should be borderline impossible but some people set the game up too easy. Everyone is different but if I beat a game I lose interest because that's how humans evolved. Our brain rewards us with happiness when we accomplish something difficult. Short circuit that process by cheating or drugs and that euphoria goes away. I learned my lesson when I beat RFM and quickly sold it. Agreed, TOTAN is a work of art. I have a Paragon that I'll be buried with. Not a deep game but so compelling in every way. On my last ball, I got 7 Houdini letters and heard the new stadium chant "Hoo-dee-nee!!" But before I could start the mode, my movie binge started. I heard the chant all through that mode, and then lost the ball and game over. Apparently you can't start MM mode while in MB mode, which makes sense. Anyway, it was fun and I got high score 2. I had the chant thing once. It finished up with the delivery of an encore bonus. It seemed it was separate from any other mode. As I recall, it was chanting, the computation of a bonus, and that was it. Had some graphic associated with it, thinking it might’ve been Houdini standing next to a breakdown of the bonus, but I’m not sure. Never happened before, never happened since. I meant to look it up in the manual, but never got to it. Liked it because the bonus was huge. Hmmm. I just seemed to get the audio over normal game play. Still a lot of mysteries in this machine. Is there a newer beta than 181124T that fixes the 5 ball issues?